by Anton008 · 12. 12. 2013. 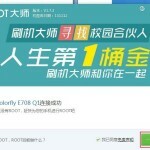 To root Colorfly E708 you will need to enable USB debugging in Developer Settings. Also, connect your tablet and make sure that drivers from E708 is properly installed on your PC. Tablet will install drivers on PC on first connect. You could go to Device manager and see if you don’t have any unknown Android devices. 1. Install vRoot on your computer. You can download it in from here. 2. Install that program and don’t worry if program is on Chinese. There is older version of this program on English but I don’t know if it will work, I used Chinese version. 3. Now connect tablet to PC and be sure that it is connected on USB 2.0 or Higher and that it doesn’t lose connection. In Vroot you should see this tablet and it should be recognized. 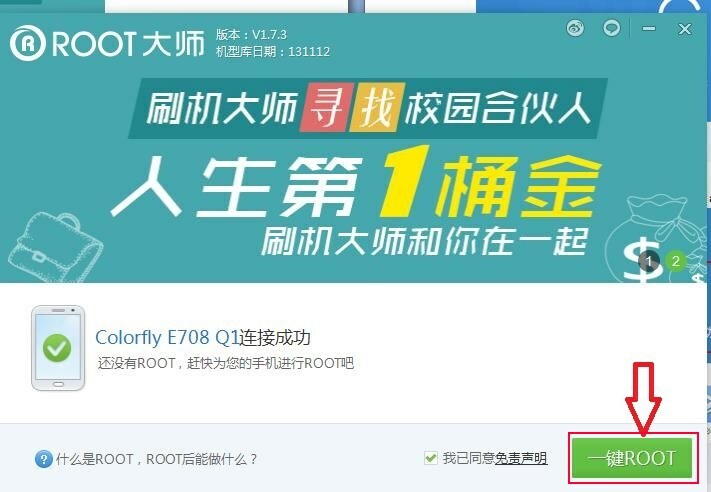 There is green ROOT button, press on it like on picture. Wait a few seconds, your tablet will reset and tablet will be rooted. You can install SuperSU if you don’t like stock application. New version of ROM won’t remove any of your apps or settings but you could do a backup with Titanium backup, Online Nandroid backup or some other so root is not required but it is recommended. Maybe later I will update this tutorial with how to install CWM and some other unofficial rom. With latest rom a lot of bugs have been fixed and battery last longer. 1. Download PhoenixUSBPro from here, install it. Just click next (N) and that will install program, accept unknown drivers. 2. Extract newest ROM from .rar archive which you can download here. This is multilanguage rom. However there is down side of new roms since September 2013 that Colorfly decided to lower the resolution and details in menus. You have example of the right. A lot of stuff is updated but I don’t like this. Update (5/2014): You can download offical update 14.5.2015. (v4. 08) and it is Android 4.4.2. There is bad side that all your apps and stuff on internal memory will be deleted. Download v4.08 from here. 2. Open that program, it will be on English. You will get message that newer (1.0.8) version is available, update it. 3. When program is updated connect Colorfly E708 to pc and make sure that USB debugging is enabled. 4. Click on “Firmware” button on top, browse for image, click upgrade. As recommended, click No. 5. Wait for few minutes, after everything is done tablet will restart. Don’t worry if first start takes a long time, don’t disconnect tablet from pc. If you don’t understand some part I made a video too. My E708 wasn’t rooted after this and I needed to root it again. This time I clicked on grey icon “root” in Vroot. All credits goes to my friend Iconic Icon who explained me this. If you have any questions about tablet or this tutorial you can leave it in comments. 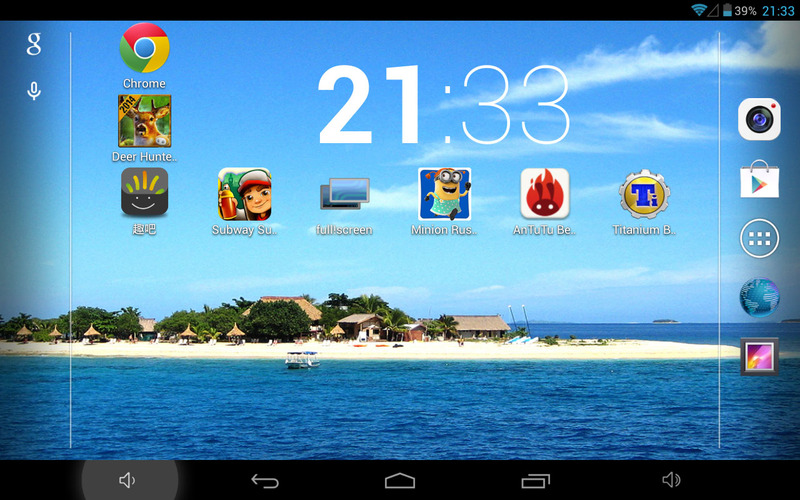 I had in tablet the newest firmware. I wanted flash to rom 20131126. After upgrade touch screen don’t work. ROM maybe is defective. I flash the newest original rom and touch still not working. I don’t any idea how to fix it. Do you have any idea for fix it? Does the OTG support still work after it is updated??? Yes OTG working, I can connect mouse and keyboard. Many thanks for the descriptions, I read all of them. Well, there is no newer vesion and for recovery you need to install cwm. But there is no point. I don’t know how it freezes (in which apps) because mine is working great after 1 year of using it. Thank you for the quick answers. 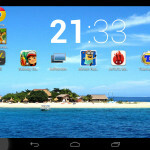 No problem: i gave it up and yesterday I ordered an ASUS Memo Pad HD. Many thanks for your website and for your personal help and answer! If anybody want to buy a Colorfly e708q1 – mine is in sold from today, price only 50 bucks. Thanks for your post. I upgraded my colorfly yesterday and it seems faster than before. Thing is that some apps are crashing (Simpsons crash at start and Final Fantasy Record Keeper, randomly). Do you have the same behavior with these games ? I wiped the cache partition but it did not change anything. Very nice tutorial … any hints on how to achieve this using a Mac for a Colorfly E708 Q2 ?